At 199,000 maximum BTUs the Bosch 940 ESO is our highest capacity non-condensing tankless water heater. The Bosch Therm 940 ES was designed to meet the demands of busy households and offers the premium features you expect from Bosch. This model can be installed almost anywhere thanks to its sealed combustion and dual-fan technology. 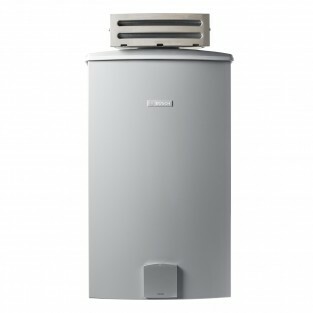 The Bosch Therm 940 ESO comes complete with the Bosch BTOK outdoor vent cap and built-in freeze protection allowing this heater to be installed outdoors in approved locations that experience occassional overnight freezing. The Bosch Therm 940EOS is the direct replacement for the Bosch GWH 715 ES/BTOK and the Bosch AquaStar 2700ES/AQOK.